SIG Distribution are excited to promote our ‘shield of assurance’ campaign, which has been designed to provide all of our customers complete peace of mind when buying products from SIG. For the last three years we have been working with our suppliers to ensure that all of the products we stock meet with essential regulatory compliance. This means we can supply compliance documents for Reach, CE Marking, Explosive Precursors and EUTR in addition to Safety Data Sheets at a moments’ request, all of which have been independently verified to ensure validity. 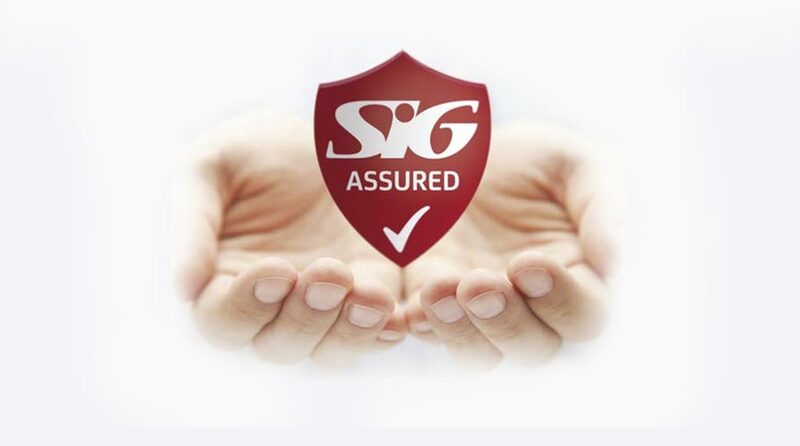 The SIG Assured campaign will always be evolving to meet with the fast pace of changing legislation and product development, but you can be sure that by working together with an industry leading independent partner we now have robust processes to track and monitor who is, and which products, are compliant. In addition to this we have an on-line storage service in place that will provide you with up to date compliance and legal information about the suppliers we work with and the diverse range of products we stock. So whenever you see the SIG ‘shield of assurance’ stamp you can be confident that your purchase is fully traceable and supported by independent specialist appraisal.